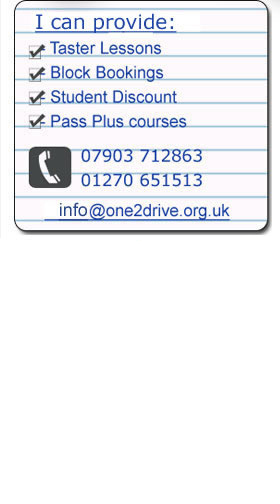 This is a one off first lesson which, as the name suggests, gives you the chance to go through the basics, get used to the car and also have your first opportunity to drive. Buy 10 lessons and get 1 free! Passed your test? then book a Pass Plus course. Pass Plus covers motorway driving and night driving to give you that extra experience and confidence on the road.